The British voter is subjected to a heavy barrage of propaganda from all the major parties — and to occasional salvoes from minor groups and independents — during election campaigns, and to a lesser degree at other times. 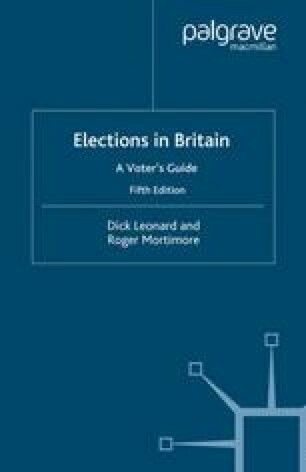 Earlier chapters of this book have sought to describe the various ways in which the parties seek to influence public opinion. This chapter will attempt to discern whether all this activity makes much difference to the way that people vote.